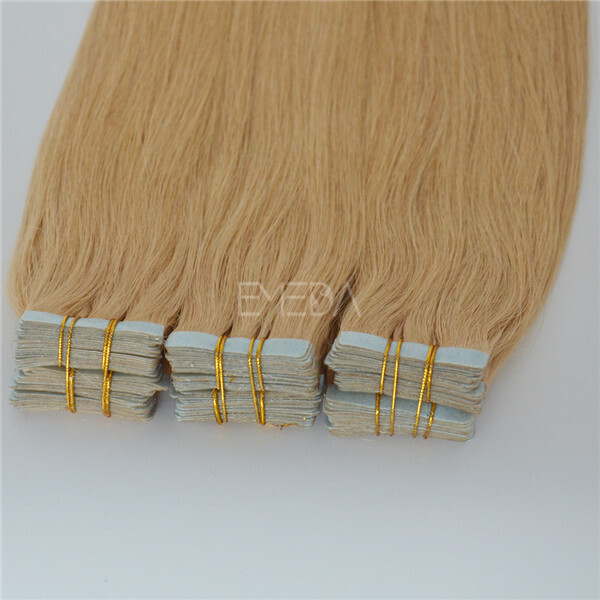 Tape hair extensions are currently the latest and most popular hair extension method available, used by many celebrities in Hollywood. 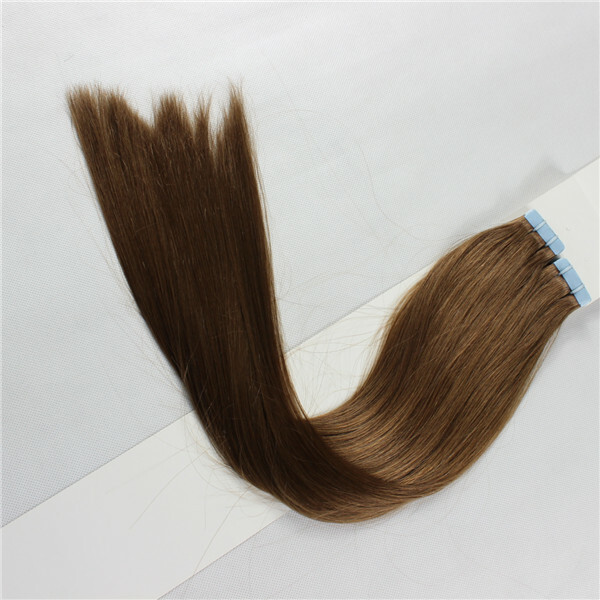 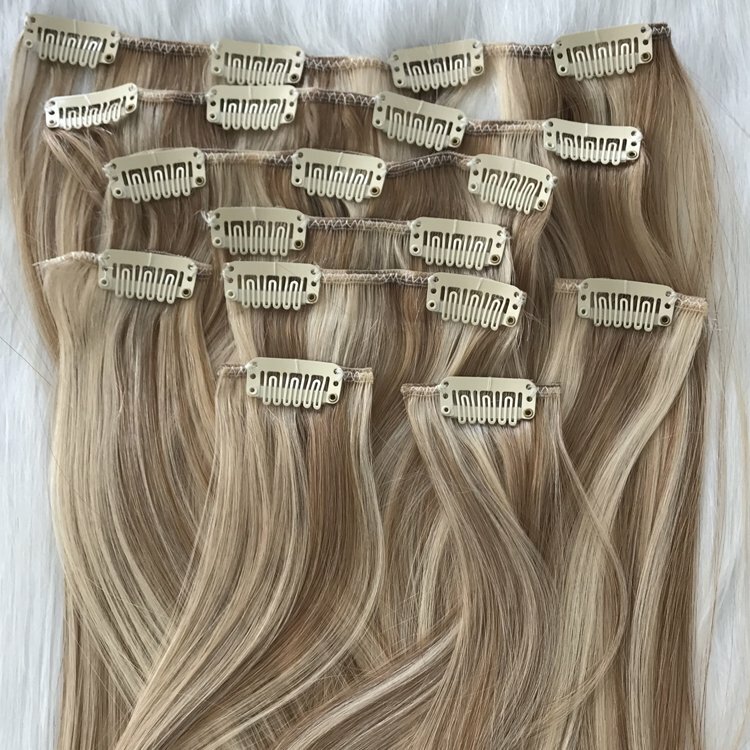 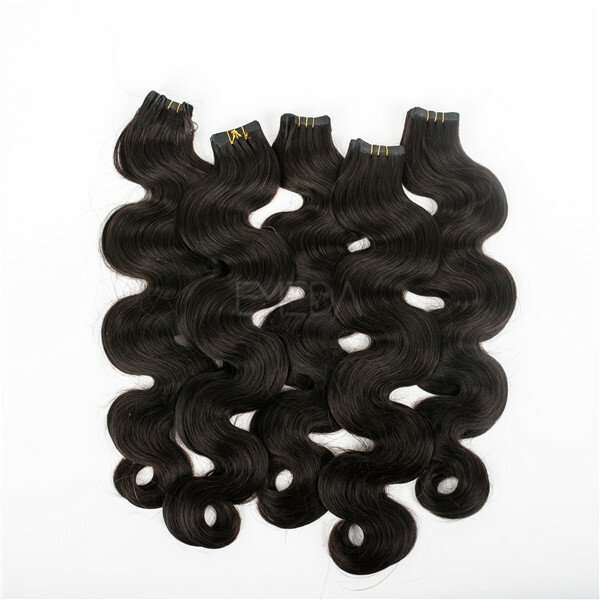 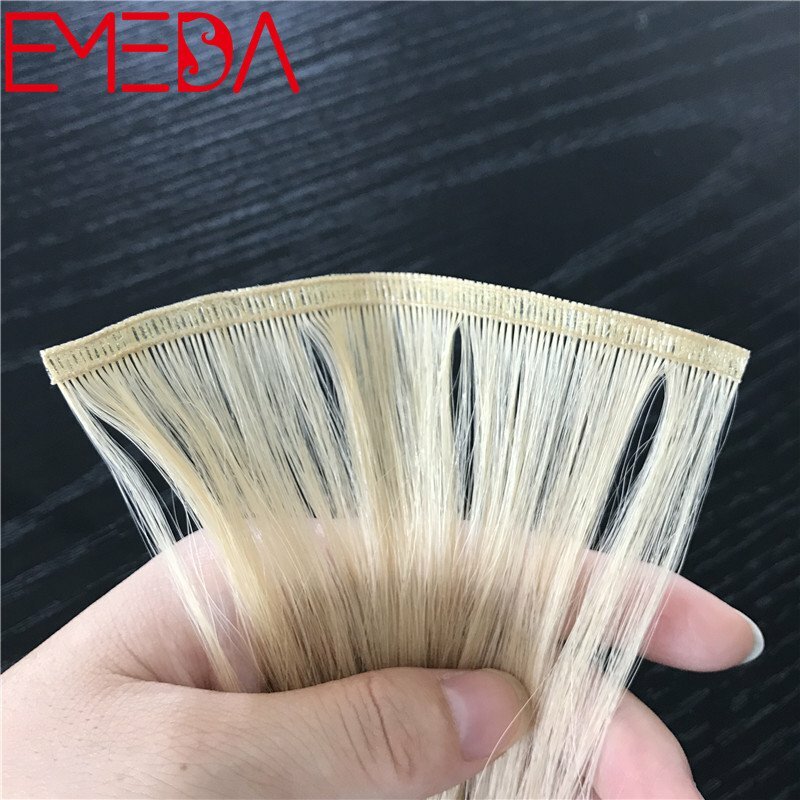 Malaysian tape hair extensions is one of the best quality hair, top grade with cuticle intact, long lasting and no shedding, hot sale in Japan,Australia, american, UK.We also have the 3 yard tape roll and tape sheets can offer you together with competitive price, welcome to inquiry ! 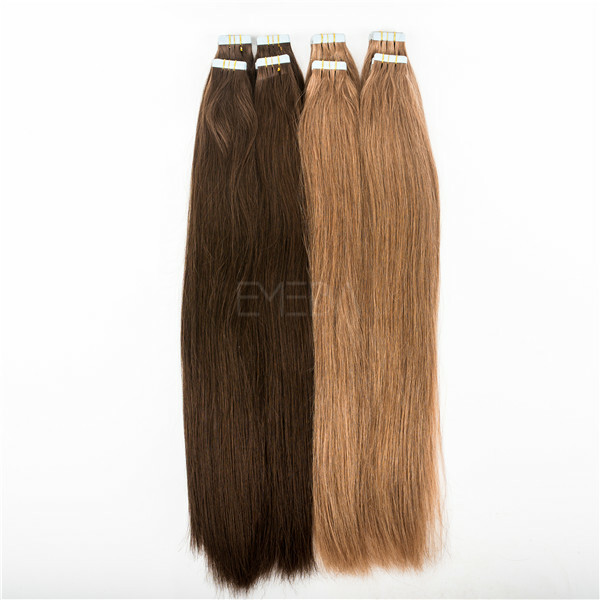 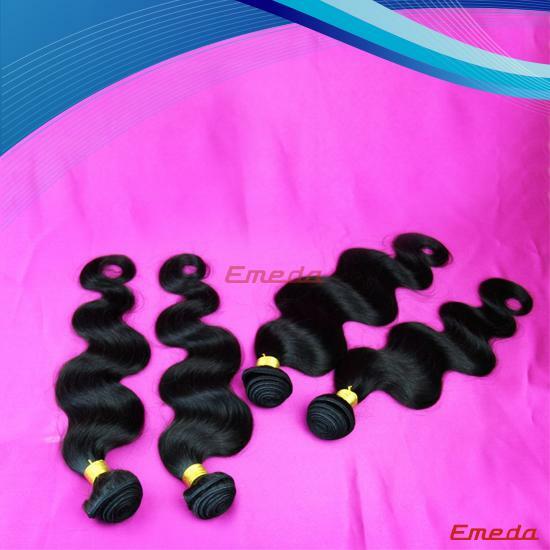 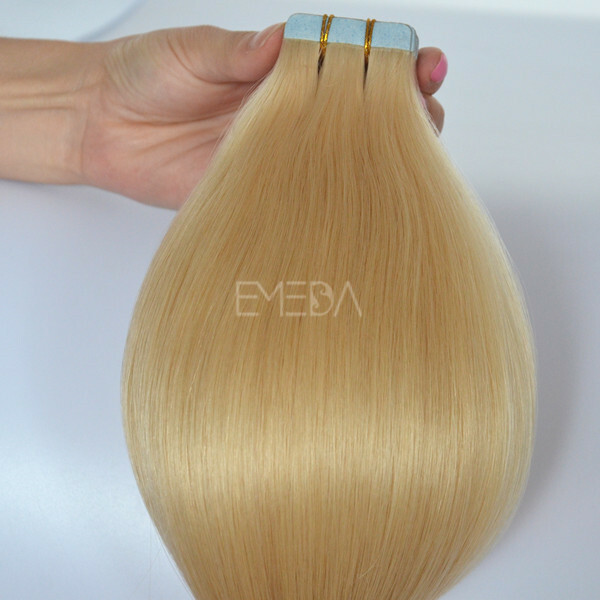 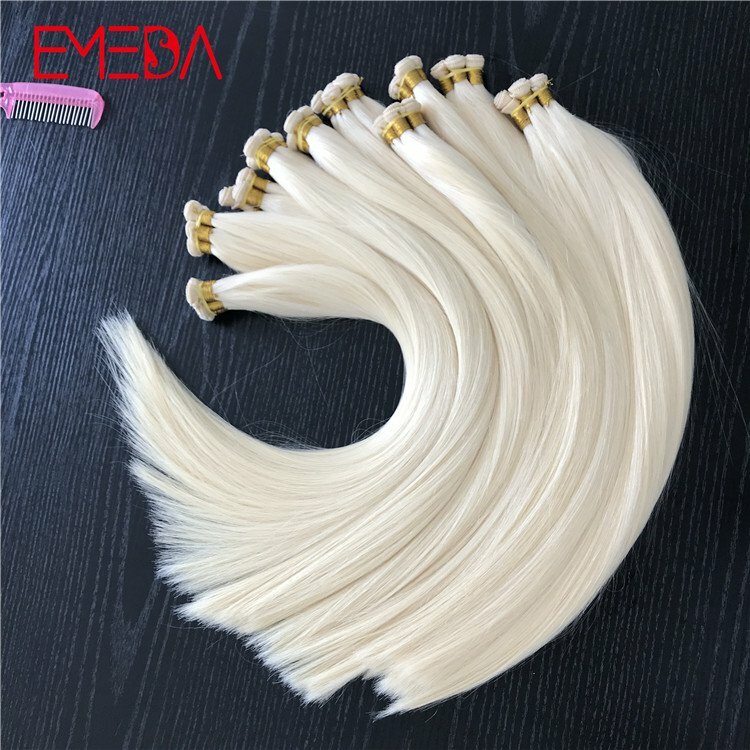 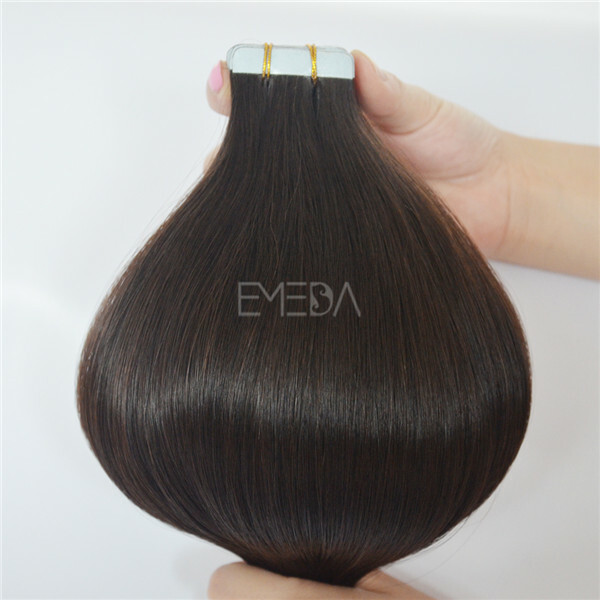 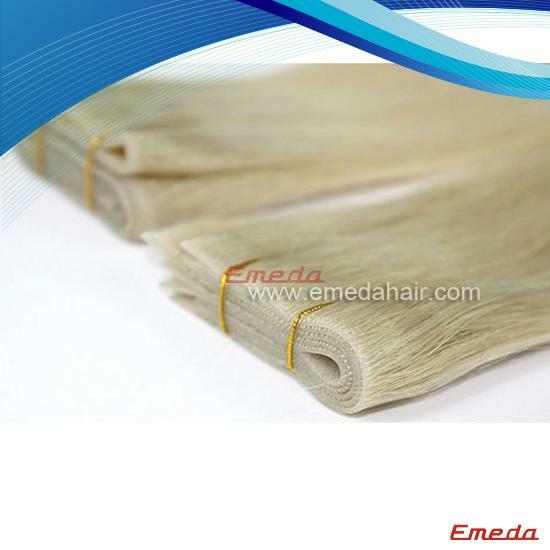 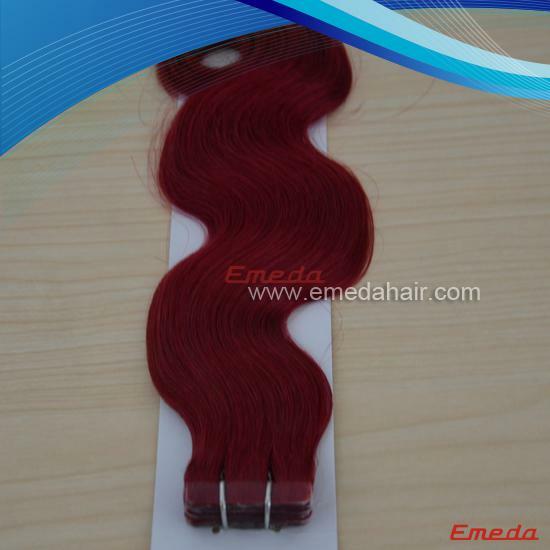 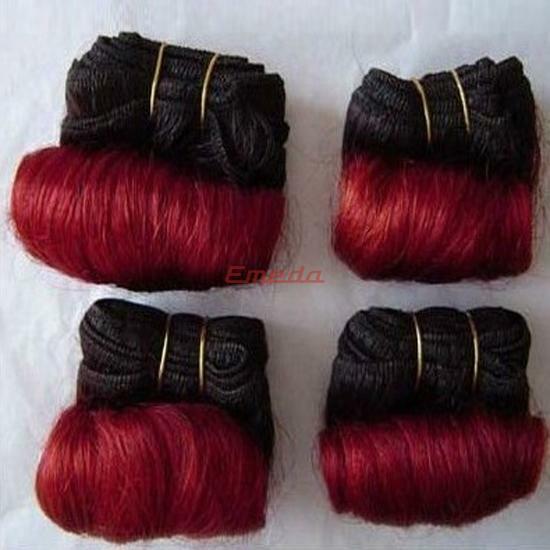 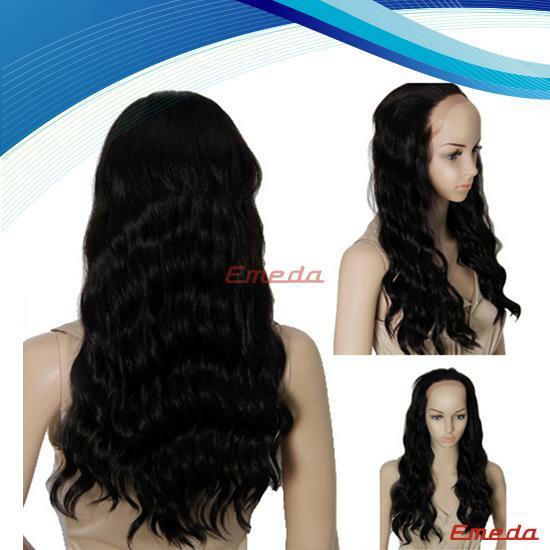 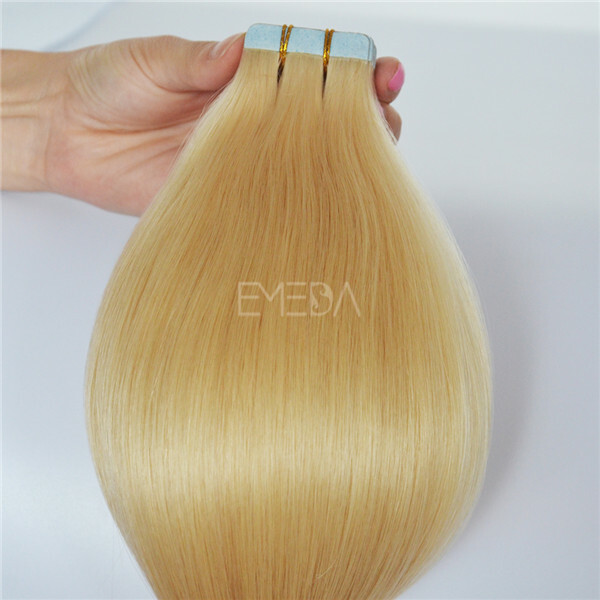 Emeda supply variety colors tape pu skin hair extensions. 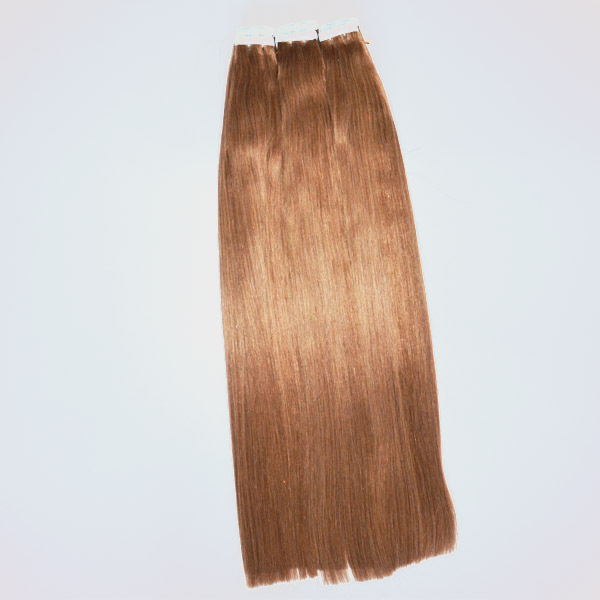 This type hair is very easy to install and looks very natural. 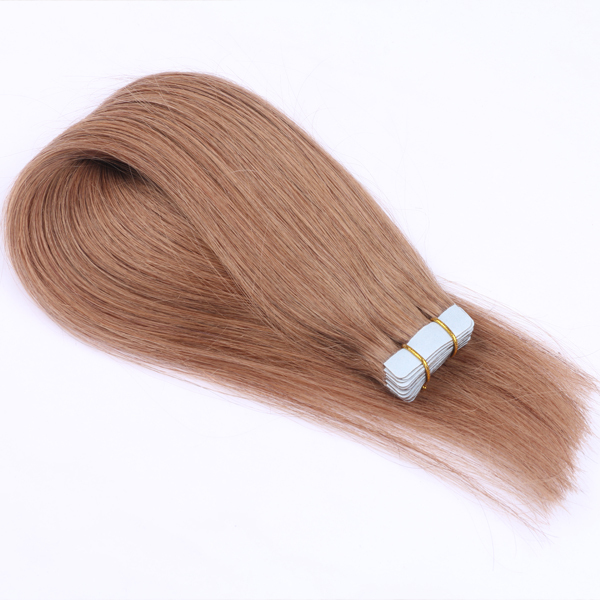 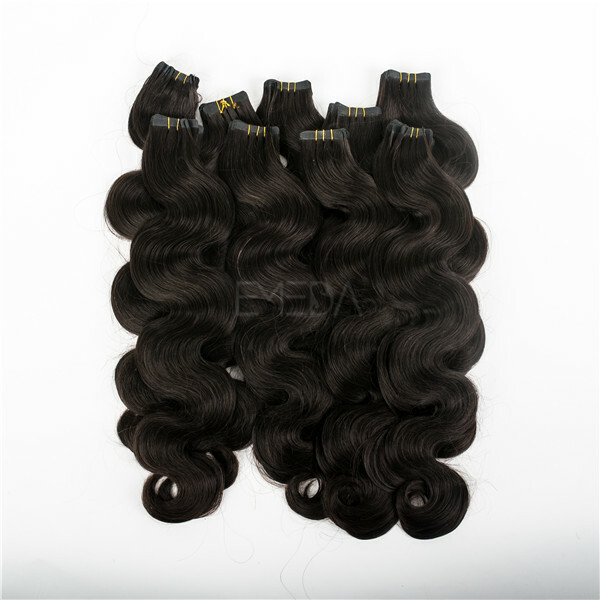 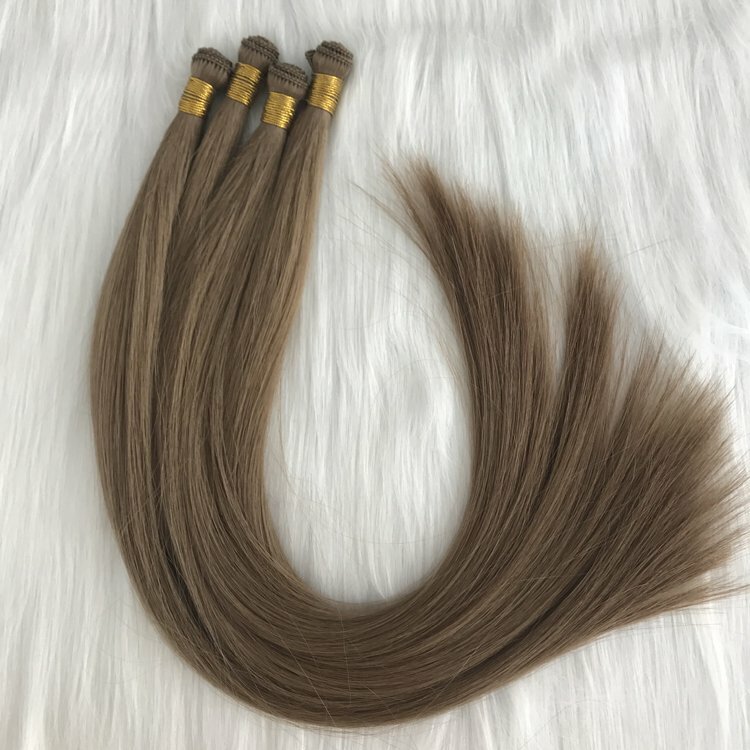 double side tape in hair extensions dark brown,If you take care of the hair, you can get it re-taped for a long time before it needs replacing. 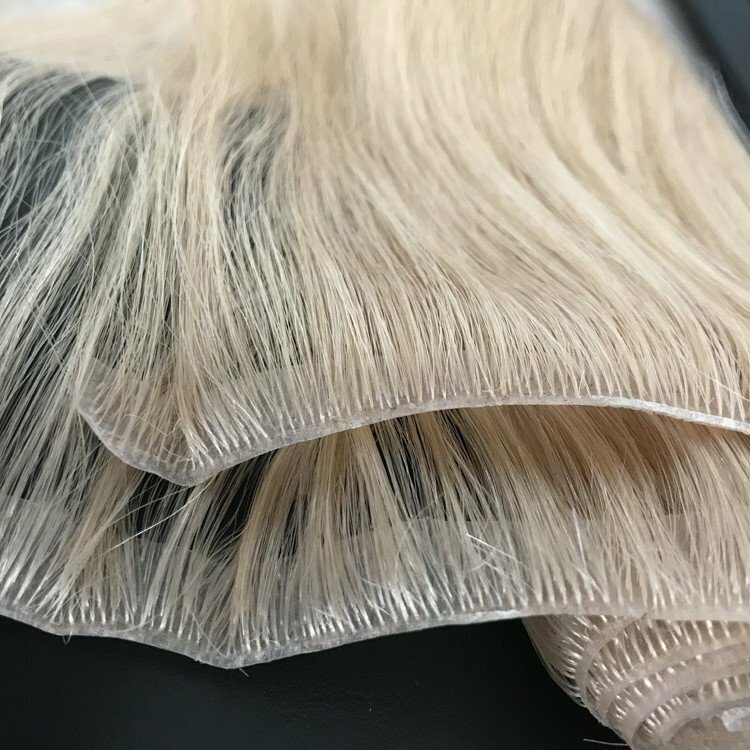 Remember to go in for regular maintenance visits every 2-3 months though, to make sure the tapes are securely in place. 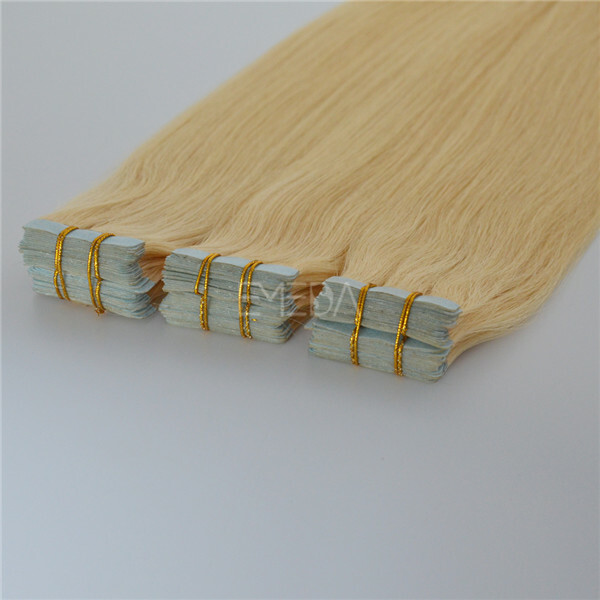 Qingdao tape hair extensions all use USA blue glue.If you take care of the hair, you can get it re-taped for a long time before it needs replacing. 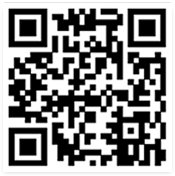 Remember to go in for regular maintenance visits every 2-3 months though, to make sure the tapes are securely in place.